When I first started writing this regular feature until this year, I featured an image of Rosie the Riveter. But I never really knew a whole lot about Rosie. I just knew that she was an icon of the real heroines of World War 2 (many of them our mothers and grandmothers) who rolled up their sleeves and did what was necessary. What follows is the obituary of the real Rosie and the quest to solve a mystery surrounding her identity. Unsung for seven decades, the real Rosie the Riveter was a California waitress named Naomi Parker Fraley. Over the years, a welter of American women have been identified as the model for Rosie, the war worker of 1940s popular culture who became a feminist touchstone in the late 20th century. Mrs. Fraley, who died on Saturday, at 96, in Longview, Wash., staked the most legitimate claim of all. But because her claim was eclipsed by another woman’s, she went unrecognized for more than 70 years. The search for the real Rosie is the story of one scholar’s six-year intellectual treasure hunt. It is also the story of the construction — and deconstruction — of an American legend. For Dr. Kimble, the quest for Rosie, which began in earnest in 2010, “became an obsession,” as he explained in an interview for this obituary in 2016. 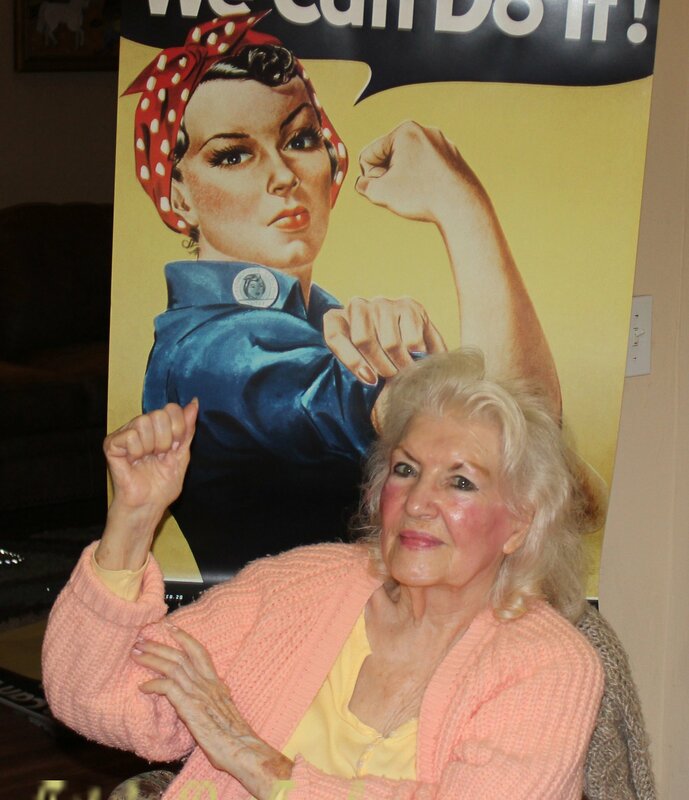 Mrs. Fraley in 2015 with the Rosie the Riveter poster that became a feminist touchstone. NAOMI PARKER FRALEY YOU ROCK! His research ultimately homed in on Mrs. Fraley, who had worked in a Navy machine shop during World War II. Dr. Kimble, an associate professor of communication and the arts at Seton Hall University in New Jersey, reported his findings in “Rosie’s Secret Identity,” a 2016 article in the journal Rhetoric & Public Affairs. The article brought journalists to Mrs. Fraley’s door at long last. The confusion over Rosie’s identity stems partly from the fact that the name Rosie the Riveter has been applied to more than one cultural artifact. The first was a wartime song of that name, by Redd Evans and John Jacob Loeb. It told of a munitions worker who “keeps a sharp lookout for sabotage / Sitting up there on the fuselage.” Recorded by the bandleader Kay Kyser and others, it became a hit. The “Rosie” behind that song is well known: Rosalind P. Walter, a Long Island woman who was a riveter on Corsair fighter planes and is now a philanthropist, most notably a benefactor of public television. Another Rosie sprang from Norman Rockwell, whose Saturday Evening Post cover of May 29, 1943, depicts a muscular woman in overalls (the name Rosie can be seen on her lunchbox), with a rivet gun on her lap and “Mein Kampf” crushed gleefully underfoot. Rockwell’s model is known to have been a Vermont woman, Mary Doyle Keefe, who died in 2015. But in between those two Rosies lay the object of contention: a wartime industrial poster displayed briefly in Westinghouse Electric Corporation plants in 1943. Mr. Miller’s poster was never meant for public display. It was intended only to deter absenteeism and strikes among Westinghouse employees in wartime. For decades his poster remained all but forgotten. Then, in the early 1980s, a copy came to light — most likely from the National Archives in Washington. It quickly became a feminist symbol, and the name Rosie the Riveter was applied retrospectively to the woman it portrayed. This newly anointed Rosie soon came to be considered the platonic form. It became ubiquitous on T-shirts, coffee mugs, posters and other memorabilia. The image piqued the attention of women who had done wartime work. Several identified themselves as having been its inspiration. The most plausible claim seemed to be that of Geraldine Doyle, who in 1942 worked briefly as a metal presser in a Michigan plant. Her claim centered in particular on a 1942 newspaper photograph. Distributed by the Acme photo agency, the photograph showed a young woman, her hair in a polka-dot bandanna, at an industrial lathe. It was published widely in the spring and summer of 1942, though rarely with a caption identifying the woman or the factory. In 1984, Mrs. Doyle saw a reprint of that photo in Modern Maturity magazine. She thought it resembled her younger self. Ten years later, she came across the Miller poster, featured on the March 1994 cover of Smithsonian magazine. That image, she thought, resembled the woman at the lathe — and therefore resembled her. By the end of the 1990s, the news media was identifying Mrs. Doyle as the inspiration for Mr. Miller’s Rosie. There the matter would very likely have rested, had it not been for Dr. Kimble’s curiosity. It was not Mrs. Doyle’s claim per se that he found suspect: As he emphasized in the Times interview, she had made it in good faith. What nettled him was the news media’s unquestioning reiteration of that claim. He embarked on a six-year odyssey to identify the woman at the lathe, and to determine whether that image had influenced Mr. Miller’s poster. ￼In the end, his detective work disclosed that the lathe worker was Naomi Parker Fraley. After the Japanese attack on Pearl Harbor, the 20-year-old Naomi and her 18-year-old sister, Ada, went to work at the Naval Air Station in Alameda. They were assigned to the machine shop, where their duties included drilling, patching airplane wings and, fittingly, riveting. It was there that the Acme photographer captured Naomi Parker, her hair tied in a bandanna for safety, at her lathe. She clipped the photo from the newspaper and kept it for decades. After the war, she worked as a waitress at the Doll House, a restaurant in Palm Springs, Calif., popular with Hollywood stars. She married and had a family. Years later, Mrs. Fraley encountered the Miller poster. “I did think it looked like me,” she told People, though she did not then connect it with the newspaper photo. In 2011, Mrs. Fraley and her sister attended a reunion of female war workers at the Rosie the Riveter/World War II Home Front National Historical Park in Richmond, Calif. There, prominently displayed, was a photo of the woman at the lathe — captioned as Geraldine Doyle. As he searched for the woman at the lathe, Dr. Kimble scoured the internet, books, old newspapers and photo archives for a captioned copy of the image. At last he found a copy from a vintage-photo dealer. It carried the photographer’s original caption, with the date — March 24, 1942 — and the location, Alameda. Dr. Kimble located Mrs. Fraley and her sister, Ada Wyn Parker Loy, then living together in Cottonwood, Calif. He visited them in 2015, whereupon Mrs. Fraley produced the cherished newspaper photo she had saved all those years. “There is no question that she is the ‘lathe woman’ in the photograph,” Dr. Kimble said. An essential question remained: Did that photograph influence Mr. Miller’s poster? As Dr. Kimble emphasized, the connection is not conclusive: Mr. Miller left no heirs, and his personal papers are silent on the subject. But there is, he said, suggestive circumstantial evidence. As Dr. Kimble also learned, the lathe photo was published in The Pittsburgh Press, in Mr. Miller’s hometown, on July 5, 1942. “So Miller very easily could have seen it,” he said. Then there is the telltale polka-dot head scarf, and Mrs. Fraley’s resemblance to the Rosie of the poster. “We can rule her in as a good candidate for having inspired the poster,” Dr. Kimble said. If Dr. Kimble exercised all due scholarly caution in identifying Mrs. Fraley as the inspiration for “We Can Do It!,” her views on the subject were unequivocal. Interviewing Mrs. Fraley in 2016, The World-Herald asked her how it felt to be known publicly as Rosie the Riveter. The information in this post came from an obituary published in the New York Times. Please feel free to share a link to a post you have written about an inspirational woman. How interesting to learn the background story of Rosie the Riveter, Bernadette. Dr. Kimble did a good job uncovering the real Rosie, something the news industry had no interest in doing. They are, after all, in the business of selling news. And it would be a shame to let fact finding get in the way, right? Interesting post! Glad to see the real Rosie got her credit. Her enthusiasm in the final paragraphs is unequivocal. A fascinating article about the picture, confusion and one man’s determination to seek the full truth about it. I wrote today about my little sister who died in August. No icon, she lived a life of courage through three rounds of breast cancer. So many women fight this battle. Give me the link to the post do that I can repost it for everyone to read. Thanks for reading. Thank you for sharing this fascinating information about Rosie the Riveter, Bernadette. I’m glad to see the real Rosie get credit. How great to know who the woman was who inspired Rosie the Riveter. She looked fabulous even in her 90s. 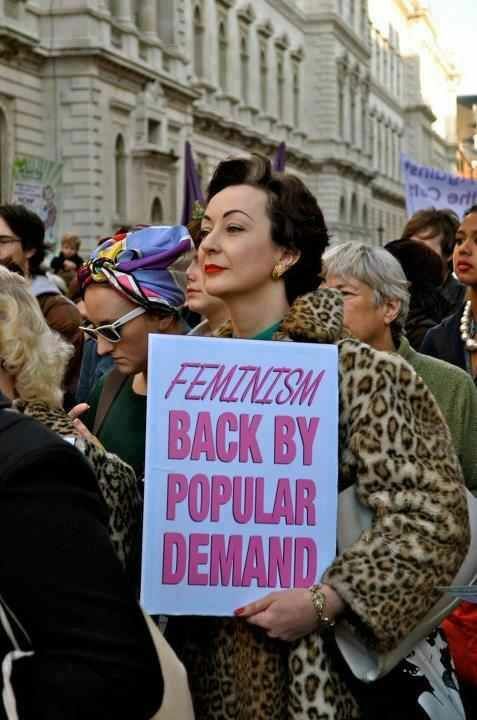 I always thought it was sad that after the war, those same women went back to being housewives and letting the men be the breadwinners. I do believe they inspired the next generation to have careers, businesses and to be more independent. Victory indeed!